The fire brought down the cathedral’s spire and destroyed the roof of the church. A massive fire engulfed the historic Notre Dame Cathedral in Paris, France, on Monday while renovation work was under way at the church, AP reported. The cathedral’s spire collapsed under the fire, which raged for hours. 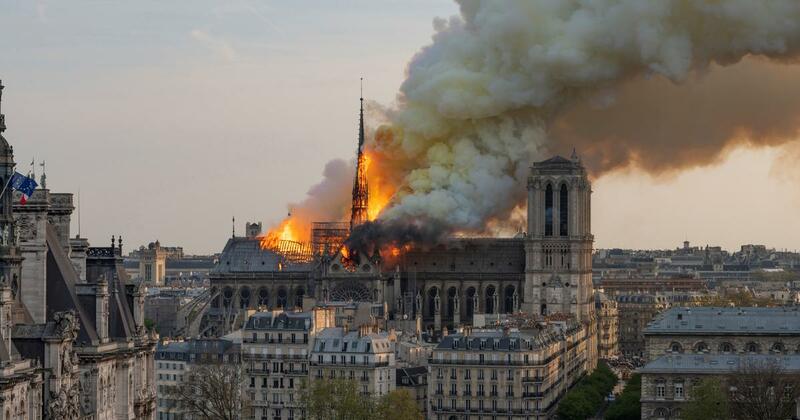 The blaze also spread to one of its landmark rectangular towers, but Paris Fire Brigade Commander General Jean-Claude Gallet said the church’s main structure had been saved after firefighters managed to stop the fire from spreading to the northern belfry. The roof of the 850-year-old cathedral was destroyed in the fire, according to AFP. By Tuesday afternoon, the Paris fire service department said the blaze has been extinguished. “The whole fire has been extinguished. Now we’re in the phase of investigating,” said spokesperson Gabriel Plus. Officials said several artefacts had been rescued from the burning cathedral, reported CNN. The 12th-century cathedral houses works of art and is one of the world’s most famous tourist attractions. Paris Mayor Anne Hidalgo tweeted that major art pieces and sacred items from the Notre Dame were saved from the fire. Already, people have pledged hundreds of millions of euros to help rebuild the Unesco World Heritage site. Billionaire François-Henri Pinault, chairman of the Kering group that owns brands like Gucci and Yves Saint Laurent, has promised €100m. Bernard Arnault’s family and their company LVMH pledged another €200m, according to Reuters. The cause of the blaze was not immediately confirmed. The Notre Dame had been undergoing restoration work, which the fire service said could be linked to the blaze. French prosecutors said the blaze was being treated as an “involuntary” fire and ruled out arson and terror-related motives. On Monday, flames and thick plumes of smoke billowed from the cathedral for hours, including the bell tower and the spire. The French Interior Ministry said about 400 firefighters were mobilised to fight the blaze. Gallet said the first call to emergency services mentioned a fire in the attic of the cathedral, and that one firefighter was severely injured in the blaze. The Vatican expressed its “shock and sadness” while Unesco said it stood “at France’s side to save and restore this priceless heritage”. British Prime Minister Theresa May called it a terrible incident while Germany’s Chancellor Angela Merkel called the Notre-Dame a “symbol of French and European culture”. US President Donald Trump said it was “horrible to watch” the fire. 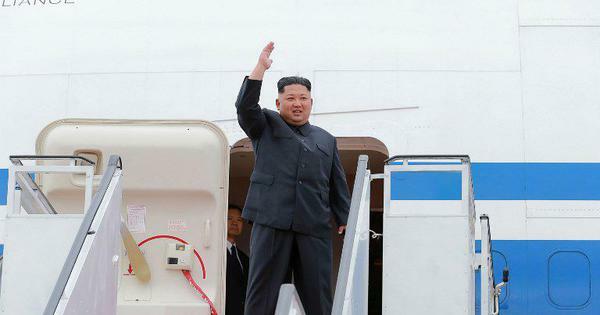 He suggested that “flying water tankers” be used to extinguish the blaze. The French Civil Security service said it might result in the collapse of the entire building.